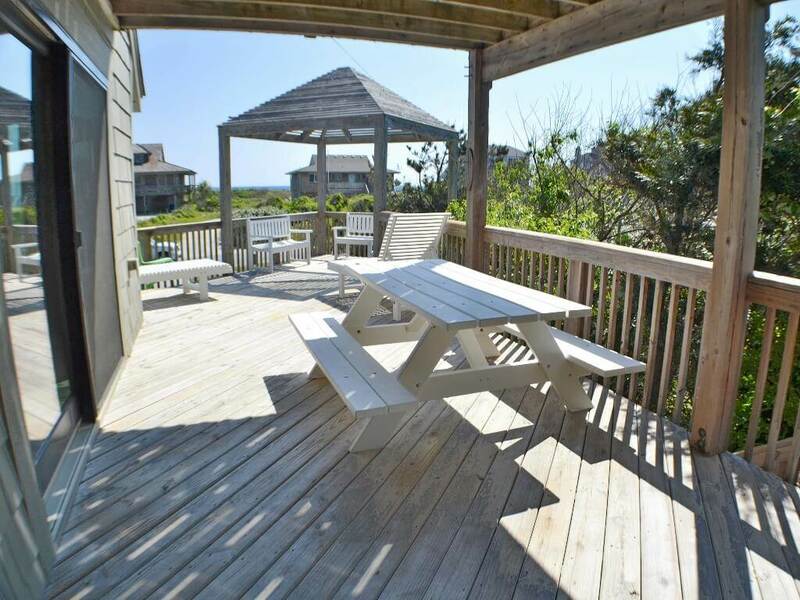 You and your family will enjoy staying at this comfortable Outer Banks vacation rental home that offers a nice open living room and dining room, well-equipped kitchen, vaulted ceilings, and wonderful ocean views. 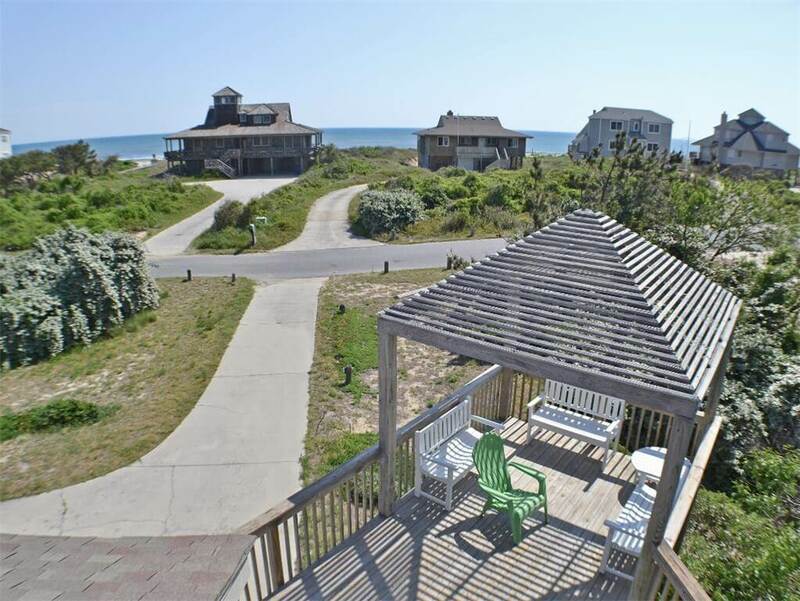 Enjoy easy beach access with beach boardwalk right across the street and ocean is less than 50 yards away! 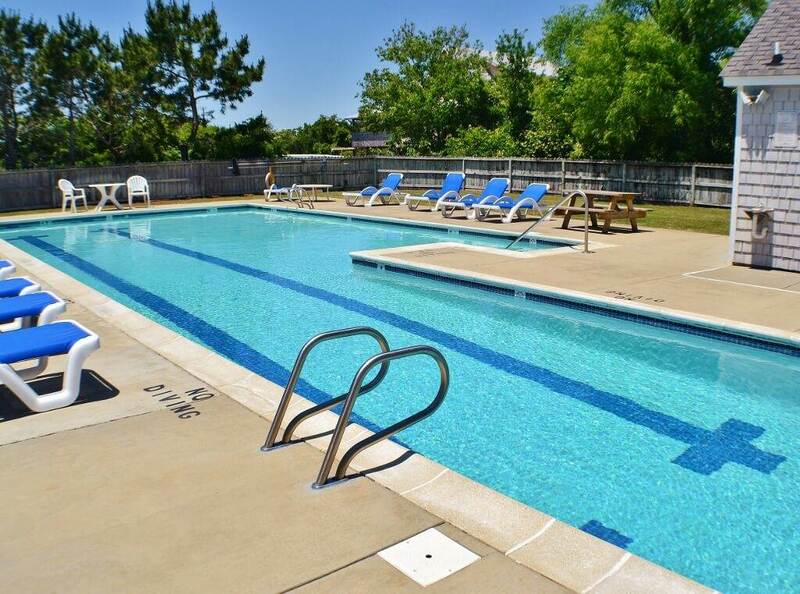 Come shoot some hoops, enjoy the lovely deck on a summer evening or take a dip in the community pool. 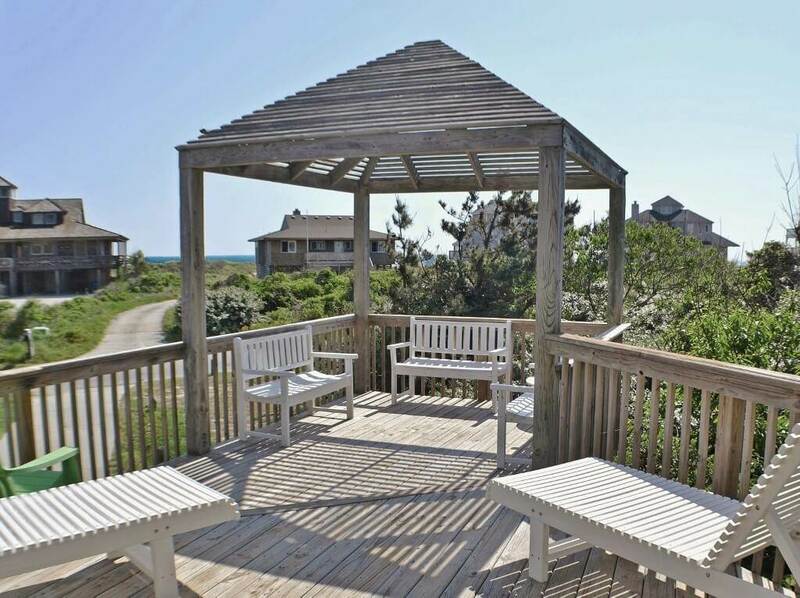 Located in the Sea Ridge/Osprey community on the north end of Duck Village. Close enough for a walk or bike ride into town for a cool ice cream or morning paper and cup of coffee. 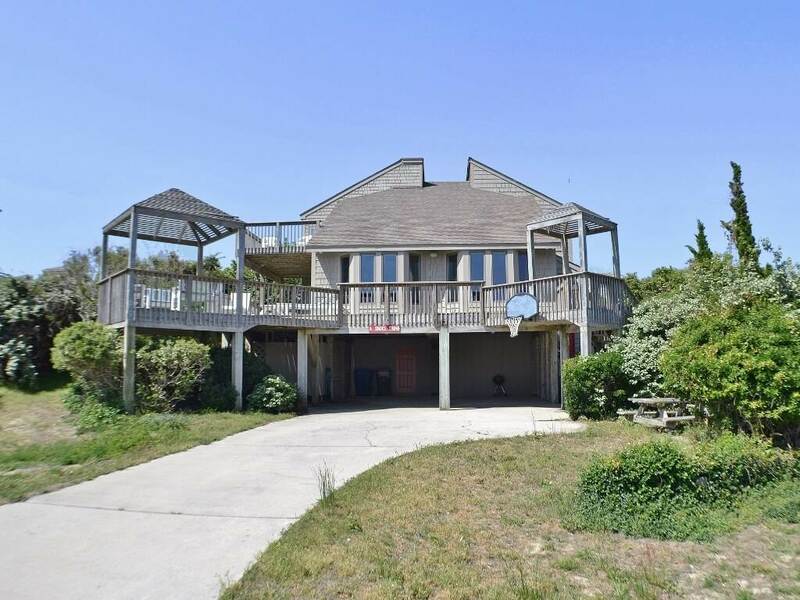 N'or Banks Sailing Center is just across the street for Currituck Sound access and you'll have access to the community pool with changing area and restroom. The Sea Ridge/Osprey community saltwater pool is open from Memorial Day thru Labor Day. GROUND LEVEL: Parking, Enclosed Outdoor Shower, Charcoal Grill. 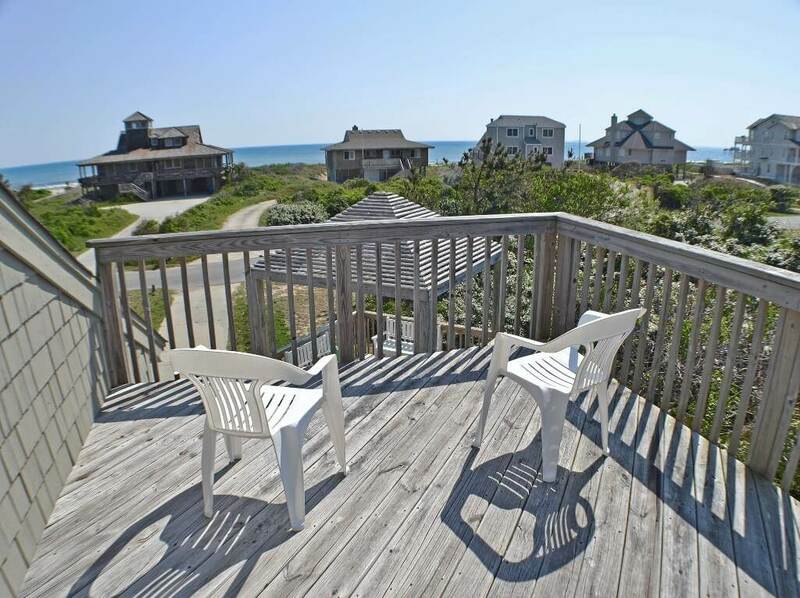 LEVEL 1: Living Room, Kitchen, Dining Area, Bedroom with Queen and Deck Access, Bedroom with Twins, Full Bath, Laundry. 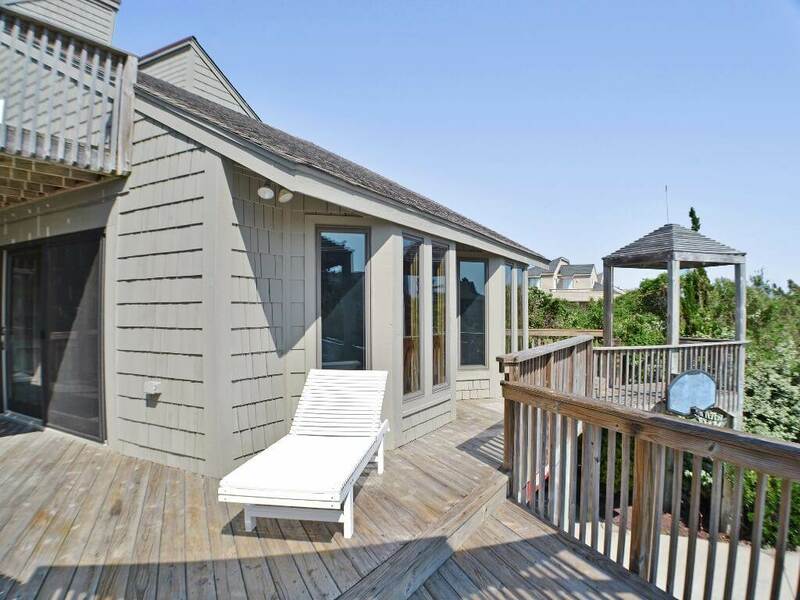 LEVEL 2: Loft with Daybed and Deck Access, Master Bedroom with Queen and Deck Access with private bathroom, Bedroom with Twins, Full Bath. Hi Nancy, yes, there is an ocean view from the top level deck. To book the week arriving May 6th, feel free to call our office to book and make your deposit over the phone, or you can also make your reservation online.